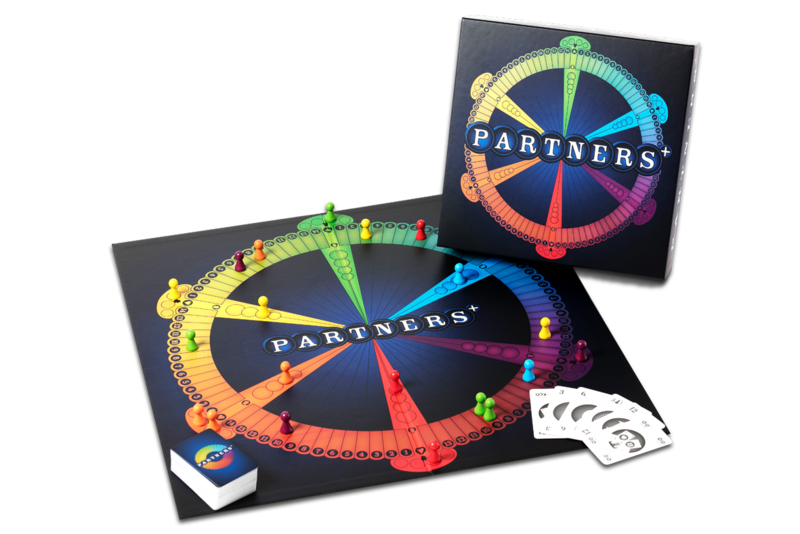 PARTNERS+ is the PARTNERS game for six players that allows you to play three on three or three teams of two players. It is still about being the team of partners who are first to get all their movers into the goal zone and it is crucial for the game's outcome that the players work together. 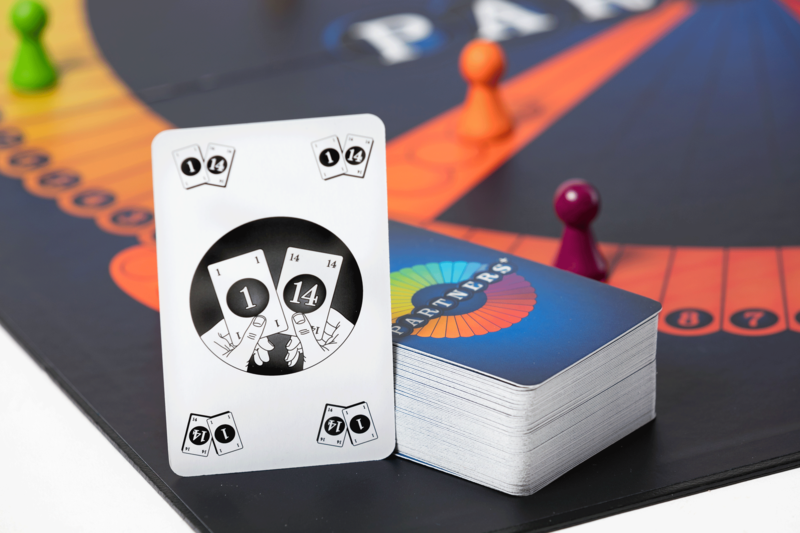 PARTNERS+ is a fun, tactical and slightly tricky game so beware of the opposing players because they would love to send you back to your home space.